Holiday Party Outfit: Glammed Out Holiday Look. Happy Friday! Or should I say "Fri-yay," as we are getting to close to Christmas now! 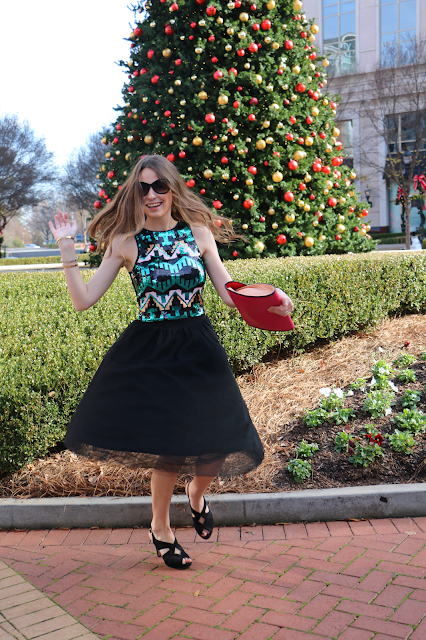 I'm so excited to be sharing another fun holiday party inspired outfit today on the blog. If I had to pick the quintessential Annaliese holiday party outfit, it would 100% be something that looked like this! A gorgeous tulle skirt, a glam sequin top, and a few fun coordinating accessories to pull it all together is exactly my type of look. Lastly- it was 70 degrees when the photos were taken for this blog post! 70 degrees. In December!! Oh Charlotte, you are too good to me. Having a whole week of beautiful weather during exams week school definitely made it harder both to finish all of my final papers, and also made the transition to coming home to Maine a bit more difficult this week as well! Luckily Maine doesn't have any snow yet... hopefully that will continue to hold off! Have a great weekend! Does anyone have any fun plans? I am working most of the weekend at my retail job back here in Maine! I'm currently not planning to return home this summer, so these could be some of my last shifts at the job that I've had for over 3 years! I love the sequins! This is such a gorgeous holiday outfit! I absolutely love this look. The skirt is to die for! I love long skirts that I can twirl in. Gorgeous Annaliese! This outfit is perfect for the holidays and I couldn't get over the warm Charlotte weather the past few days, though now it's quite chilly! LOVE your skirt and your purse! You look beautiful! You look amazing! I think you picked the perfect location to shoot this as well! Stay warm up there- I hope the snow holds off! Love tulle skirts! They remind me of my ballet days–in the best way! And that clutch is gorg! This outfit is so cute - I didn't even realize that it wasn't a dress! Perfect location, dying over that tree! I LOVE seeing your holiday looks, that sparkly top is so fun! Loving this glam look. I hope you have a perfect time at home! Sequins are so fun for winter months and of course I adore tulle. Can't believe it was 70 in Charlotte, I am SO jealous! I absolutely LOVE your top! Beautiful! 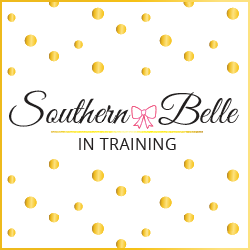 That sequin detail is so fun! What to do in Boston at the Holidays. Perfect Gifts for a New Car Owner.